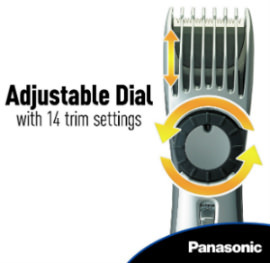 Panasonic is one of the top six most popular men’s personal grooming products. Many men may wish to trim their hair or their beards, but find that a regular men’s shaver or scissors just don’t do a good job. This trimmer is not only cordless and rechargeable, but it can also be used wet or dry. 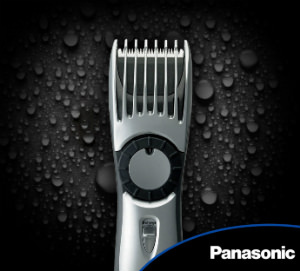 The Panasonic ER224S Trimmer is an affordable tool to add to your grooming kit. 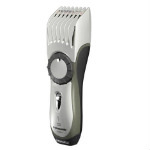 This is a great precision men’s hair trimmer. 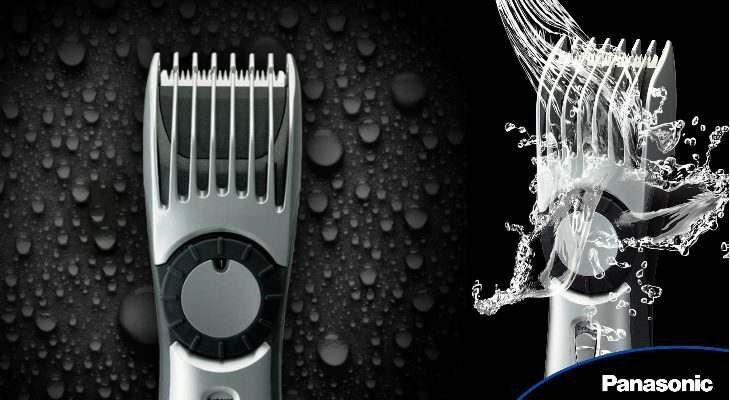 It’s waterproof, and will provide a simple but comfortable way to trim and shave your hair, beard, and facial hair. 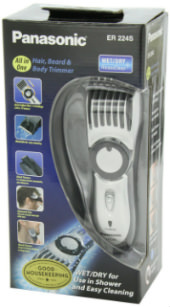 This trimmer comes in a black and a silver plastic body design. The comb is situated at the top. There is a large length dial that turns left or right, so men can choose their length preferences. About 3/4 down the body is a power on/off switch. Below that is an LED light that will light up when the unit needs to be charged up again. The adjustable length dial will move the comb up or down. 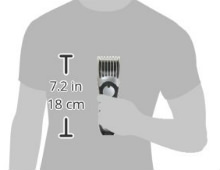 There are fourteen different trim settings so you’ll never feel like your beard is going to look the same as the other men who have benefited from this purchase. It’s quick and easy to change the settings to another length. Now you’ll not only have a personalized shave, but you’ll also have a nice even beard styling or hair styling on both sides of your head. The blades built within this shaver are sharp and meant for precision trimming. You’ll find you only need to do one pass of the shaver in each spot. These blades are installed at an acute angle of forty-five degrees, the optimum cutting angle for both comfort and ease. 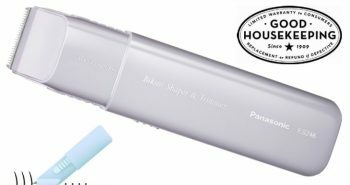 The blades built within the Panasonic trimmer are spring-loaded, and made from Panasonic high-performance stainless steel blades. Stainless steel is the best option for men who need hypo-allergenic blades. You have the option of whether to trim wet or dry. Trim over the sink, or in the shower or bath. If you accidentally drop your trimmer in the bathtub, that’s all right, as it is fully immersible. You can also use it with soap, and shaving products such as shaving gels, lotions, creams, and foams. Just remember to wash it out after you do so. It’s simple to maintain your Panasonic ER224S Trimmer. 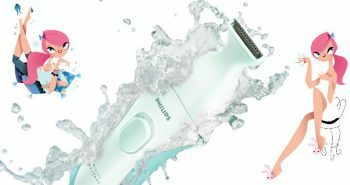 Once you’ve done your trimming, shaving, or clipping, you can simply wash the entire Panasonic trimmer under running water. Shake dry, and it’ll be ready for the next day. There is also a cleaning brush which will help you to clean it much faster. 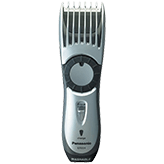 There is also machine oil included, so your clipper and trimmer will remain in optimum running order. You do have the option to use their trimmer/clipper corded, in case you forgot to charge it up the last time you used it. You can only use it dry when it’s corded and not with any shaving products, but this will give you a quick option for looking your best before you leave the house. You can bring the Panasonic ER224S with you on your travels, or just tuck it into your bag for the gym. You can also keep it in your briefcase if you want to look your best for an important meeting. It will take eight hours to fully charge the Panasonic ER224S Beard Trimmer up. You’ll then have fifty minutes of cordless running time. 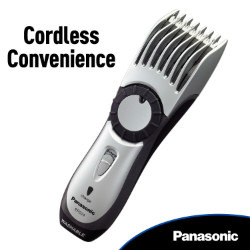 The Panasonic ER224S costs around $25, so men with beards won’t hesitate to buy it. The Panasonic ER224S Trimmer has over 1300 great reviews, with 3.9 out of 5 star ratings. This product has a Good Housekeeping limited warranty to consumers. The warranty covers replacement or refund if defective. Good Housekeeping has been in business since 1909. In the box you’ll get one Panasonic ER224S, a cleaning brush, blade oil, and an AC charger. 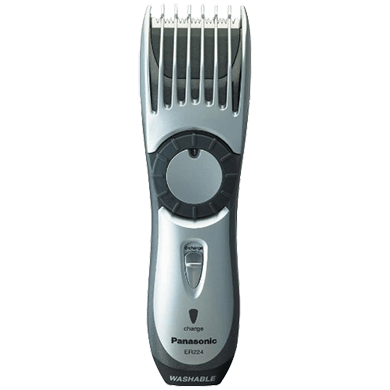 If you’ve been searching for the perfect men’s hair and beard groomer, you may wish to take a closer look at the Panasonic ER224S Trimmer. The top three features that men seek in a clipper and trimmer are cordless, rechargeable and wet/dry usage, and this one nicely fits into all categories. It also has a slim and ergonomic design that will fit nicely into your current grooming kit. Best of all, it doesn’t matter what type of hair you have, thick or thin, this trimmer will make fast work of your grooming chores.